“New and improved”. While we hear this quite often in marketing, at Overhead door Company of Central Jersey our brand new showroom truly is “new and improved”. In January of 2019 we moved from 984 Route 202 South to our new location at 952 Route 202 South in Branchburg. This new location is at the intersection of Route 202 and River Road, next to the Branchburg Rescue Squad, approximately 1 mile south of the Wegman’s/Home Depot shopping center. We are excited to feature over twenty five doors on display, five of which are fully functional. 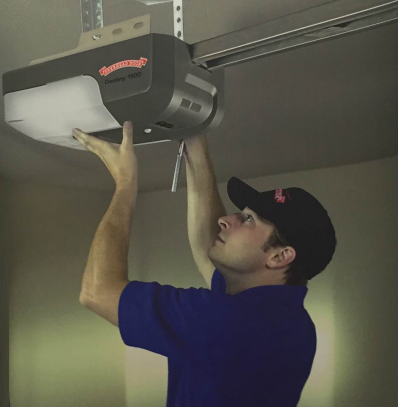 At Overhead Door Company of Central Jersey, we always want to be sure our customers have an opportunity to consider all of the available choices before making a decision on their new garage door system. There are many exciting new panel designs, window options, color choices and hardware choices available. Not only can our customers see a wide variety of door styles on our full sized displays, they can see and even operate several different hardware configurations and five different automatic opener systems. 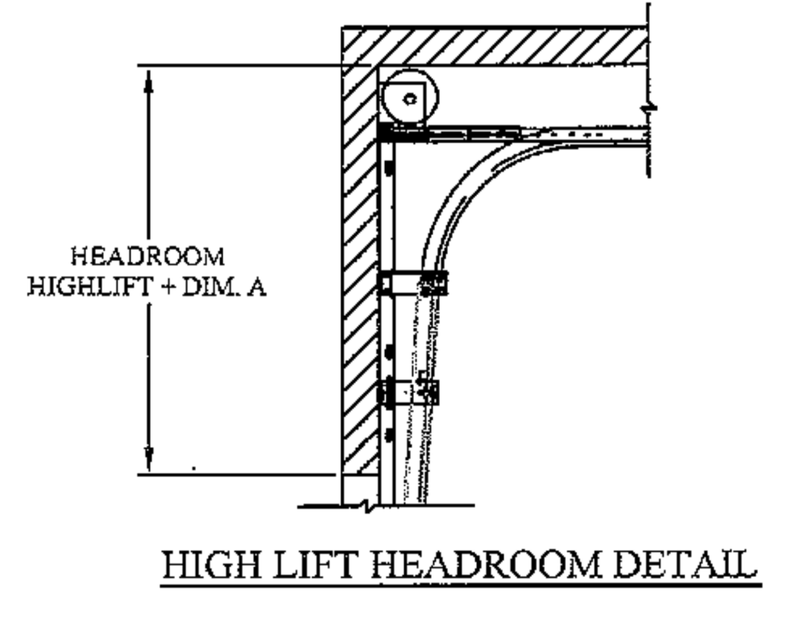 The hardware options include extended cycle counterbalances, powder coated track and hardware systems and special clearance track systems for those with very high or very low garage ceiling conditions. Our fully functional opener display allows a customer to operate and evaluate these systems prior to purchase. These units begin with a basic chain drive type and include other available choices such as belt drive and side mounted units. Other available features include Wi-Fi capability and battery backup for operation in power outages. So, if your 2019 home improvement projects include garage doors and opener systems be sure to visit us before you buy! Our garage door professionals will work with you to select the perfect door system for your project – the right appearance, the right features, and the right price. To get the most out of your visit, it is helpful to bring some pictures of your home. This allows us to be much more helpful with product selection. If your garage doors and openers are not in need of replacement but you need a replacement part, we offer a well-stocked parts department and knowledgeable parts specialists to assist you. To make the most of your visit for parts, it is helpful if you have the faulty part with you. If this is not possible, it is helpful to have some photos of the part and in the case of parts for electric opener systems, the brand and model of your opener system. We can help the DIY person with springs, rollers, pulleys, cables, fixtures and hinges, lock parts, bottom and side weather stripping, electric opener parts such as circuit boards, transmitters (remote controls or ‘clickers’), batteries and many other parts. Of course, we continue to offer on-site service for your existing garage door system. 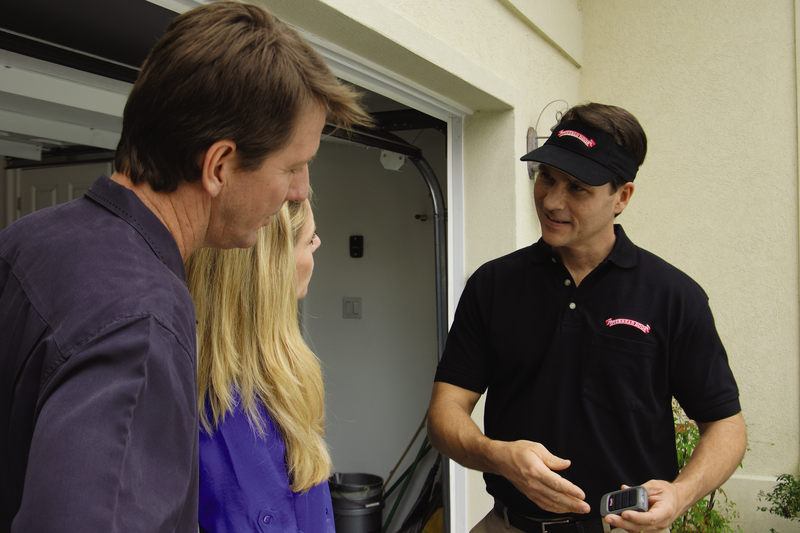 Our staff of fully trained technicians is ready to visit your home to diagnose and repair most door system problems on the same visit. If you are not a do-it-yourself and you think your doors look good but make noise, shimmy and shake, or if you have some broken parts such as springs, cables or pulleys, our service department can help! When you think ‘garage door’, think ‘Overhead Door Company of Central Jersey’. 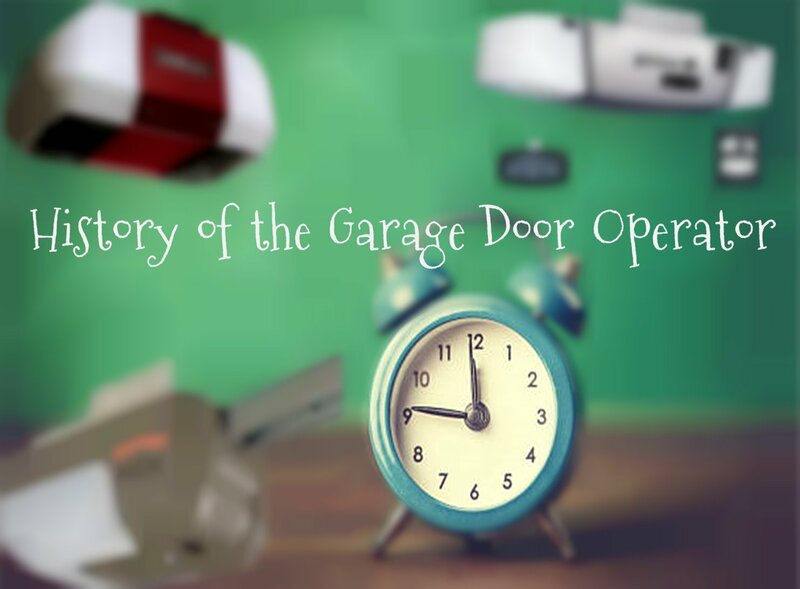 We have been providing quality garage doors, opener systems and service to the central Jersey area since 1972 – for over 46 years – and we look forward to assisting you! Visit us in person at 952 Route 202 South and River Road in Branchburg, phone us at 908-722-5785 or visit us on the web at www.OverheadDoorCo.com. 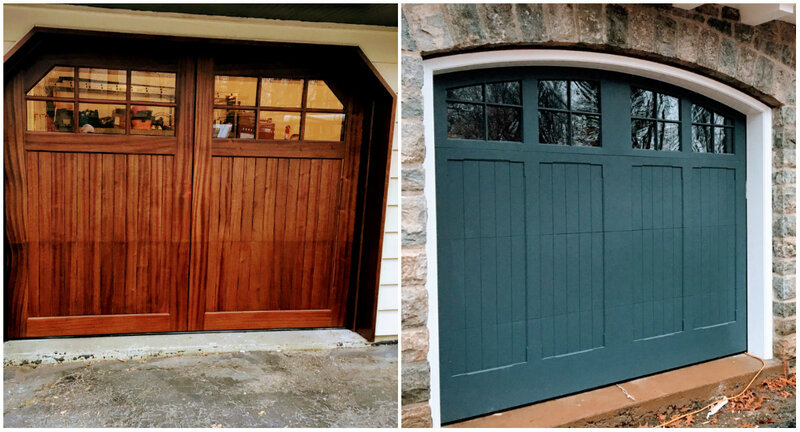 Stain-Grade vs Paint Grade Carriage House Doors - What is the difference?